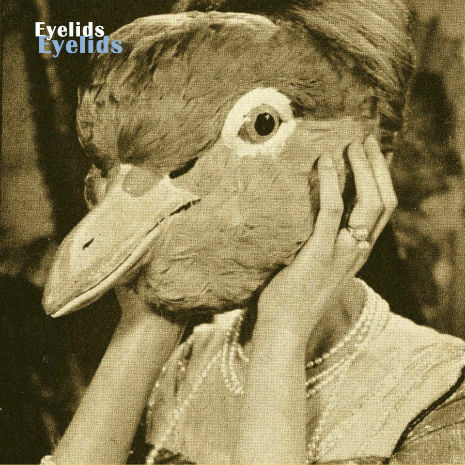 EYELIDS have a collective history of creating music for some of the most legendary indie songwriters. These longtime Portland, Oregon collaborators were not only the principal instrumentalists for Robert Pollard’s post Guided By Voices band Boston Spaceships for over eight releases, but they have also worked with Stephen Malkmus, The Decemberists, Elliott Smith, Sam Coomes of Quasi, Black Prairie, Jason Lytle of Grandaddy, Loch Lomond, Damien Jurado and Peter Buck (who is producing their upcoming EP this Fall). Principal songwriters John Moen and Chris Slusarenko have turned inwards to their loves of New Zealand/Flying Nun guitar buzz, their teenage L.A. Paisley Underground obsessions, haunts of early Athens and all things beautiful, lopsided and rock. Along with members Jonathan Drews (guitar), Jim Talstra (bass) and Paulie Pulvirenti (drums) they push and pull against each other’s songwriting, in a beautiful tension that just works. Their critically celebrated debut 7”vinyl Seagulls Into Submission got airplay everywhere from BBC Radio to WFMU and was also included in MOJO Magazine’s Editors Picks of The Month. This single, as well as the accompanying video, is just a hint of what Eyelids are all about. 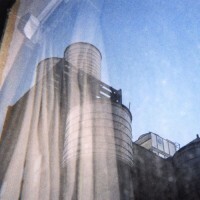 With 13 songs, most of them clocking in at less than 2 1/2 minutes, their debut album ‘854’ is full of what Eyelids describes as “sweet melodies and bummer vibes”. ‘854’ makes us remember when our favorite songs were both melancholy and buoyant—those same songs that could make you feel justifiably sad and later make you feel incredibly happy and empowered. That’s what these guys are onto. And, although they are on their own trip, they’ve been compared to Love, Dinosaur Jr., Big Star, and even early R.E.M. Good company. This is the spirit that comes alive in Eyelids songs: the Beatles meets Television jangle of “Psych #1,” the wistful pleas of “Abby’s Friends,” the beat-your-head-on-the-dashboard croon of “Forget About Tomorrow” and the deserted desperate cries that propel “Say It’s Alright”. 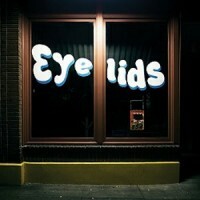 And as you listen, you will soon find out that Eyelids’ music is seriously catchy, haunting and uniquely their own. Portland, OR’s Eyelids (current and ex-members of Guided By Voices, The Decemberists, Malkmus/Jicks) have collaborated with Gary Jarman of The Cribs to make two rare and unforgettable record store exclusive tracks! Turning in what might be world’s shortest concept album– the 2 songs were written with a fictitious 17-year old in mind and his submissions to all things of flight. With Gary singing lead vocals on both songs the single conjures up jealous hazes of Wire & Pere Ubu. An amazing collaboration made exclusively for UK Record Store day. Be sure to catch Eyelids on their UK tour with Drive By Truckers in 2017. RSD 2017 UK exclusive. Features Gary Jarman from The Cribs on vocals. 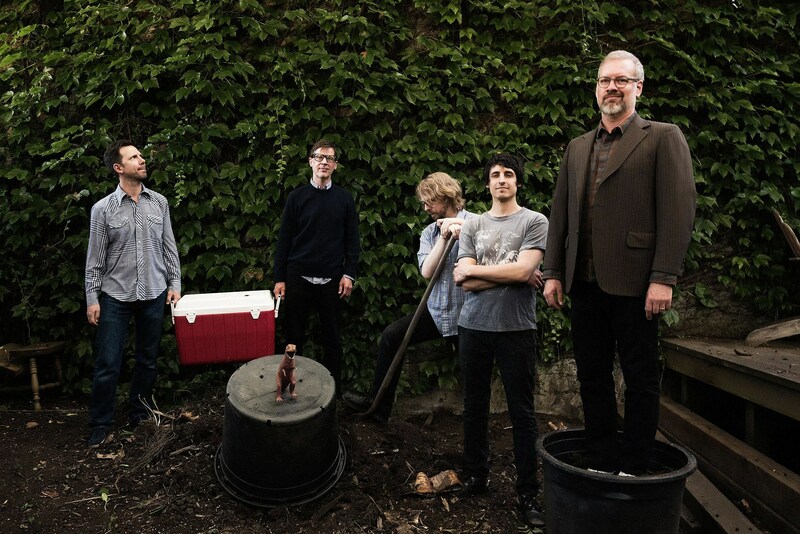 Eyelids includes members of the Decemberists & Guided By Voices. This one time pressing will be on yellow vinyl (download included) and is limited to 500 copies. All tracks exclusive to this release. The Decemberists, The Minus 5, Guided By Voices. Those are just some of the bands that the members of Eyelids have played in. Their first album was an outstanding collection of pop tinged psych rock, and with Peter Buck behind the production on this one I think that we can expect much of the same. This album is a veritable Portland all star game minus Damian Lillard. “Don’t Get Lost” was recorded & produced at Anton’s new Cobra Studio in Berlin between March 2016 & October 2016. It is the 16th full length release. With band members Ricky Maymi , Dan Allaire , Collin Hegna & Ryan Van Kriedt .Also Emil Nikolaisen from the Norwegian band Serena-Maneesh & Pete Fraser (The Pogues .New Young Pony Club) on saxophone joins the band on this album , plus vocal performances from Tim Burgess (Charlatans) , Tess Parks and Shaun Rivers . 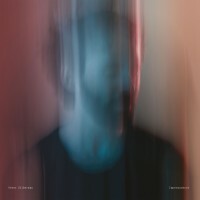 A new dynamic is heard on this album mixing the shoegaze/psychedelic sound with more experimental twists, on some tracks you might hear PIL (Metalbox) , Primal Scream , or even Ornette Coleman . 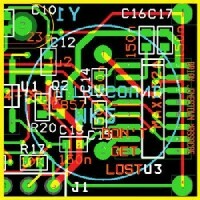 14 tracks that will twist and turn through the known and unknown Brian Jonestown Massacre . In 2016 The band released 2 singles and the critically acclaimed Third World Pyramid . 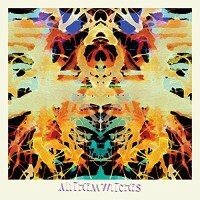 Produced by Dave Cobb (Chris Stapleton, Sturgill Simpson, Rival Sons) and mixed / engineered by UK-bred young-gun Eddie Spear, All Them Witches’ ‘Sleeping Through The War’ is the quartet’s most bold and well-crafted record to date. The album’s creation marks the first time in the band’s history that a record was written before entering the studio. This process allowed for an alignment of the band’s art, desire and time. Convening in Nashville for only six days after a year of relentlessly touring their New West Records debut ‘Dying Surfer Meets Their Maker’, the band’s spirit coalesced in a rhythm of statement and melody that simply needs to be heard… repeatedly. With the guidance of Cobb and Spear, ‘Sleeping Through The War’ captures the truest energy of the group, full blast, fun and contemplative. The record was made with volume in mind. ‘Sleeping Through The War’ is meant to be played loud, cranked up and without reservation. Feel it live through your stereo system or listen to it speak in tongues through your headphones. The sounds are nothing without the songs and the songs are nothing without the lyrics. This record is a result of constant touring, world travel, overstimulated / divided humanity and a learning of awareness and compassion. Principal songwriters John Moen & Chris Slusarenko (BOSTON SPACESHIPS, DECEMBERISTS, ELLIOTT SMITH, STEPHEN MALKMUS, DAMIEN JURADO) have turned inwards to their loves of New Zealand/Flying Nun guitar buzz, their teenage LA Paisley Underground obsessions, haunts of early Athens and all things beautiful, lopsided and rock. Along with members Jonathan Drews (guitar), Jim Talstra (bass) and Paulie Pulvirenti (drums) they push & pull against each other’s songwriting, in a beautiful tension that just works. “‘Common As Light And Love Are Red Valleys Of Blood’, for the most part, captures events from January to August of this year and how I processed it all while traveling. “[…] I’m blessed to have met the very talented Justin Broadrick and to have made these beautiful albums with him. 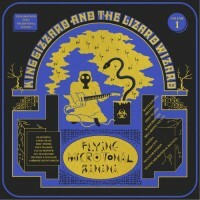 Geelong’s insuppressible King Gizzard & The Lizard Wizard release their new album ‘Flying Microtonal Banana’ on Heavenly Recordings – the first of five albums they are set to release in 2017. Shimmering, hypnotic and propulsive and powered along, as ever, by the metronomic beat of two drummers, ‘Flying Microtonal Banana’ takes a subtle musical shift away from the frazzled freak-beat of its predecessor, ‘Nonagon Infinity’. Trance like, in parts clipped and concise yet deeply psychedelic, it reveals yet another musical side to a band seemingly in perpetual motion. Perhaps one of the most exciting live bands out there right now, they appeared at both Green Man and End Of The Road festivals over the summer as well as playing sold-out London shows at the Electric Ballroom, Moth Club and The Electric during 2016. The band will bring their unrestrained and free-wheeling live show back to the UK in 2017. A few years back, Peter Silberman developed a hearing impairment in his left ear that resulted in a temporarily total hearing loss, extraordinarily loud tinnitus, and an excruciating sensitivity to everyday noises. The condition required extensive rest and quiet, and in order to get that, he left his Brooklyn apartment for a more secluded setting in upstate New York. 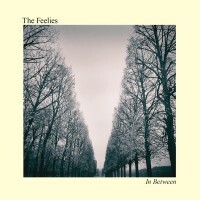 New Jersey indie-rock pioneers The Feelies are celebrating their 40th anniversary with the release of “In Between”, their first album of all new material in over 6 years. Whilst working the post Velvet Underground moves they’re so famous for, In Between brings interesting new ideas into the mix. The twin-guitar attack of songwriters and founders Glenn Mercer and Bill Million is still at the core of the group’s infectious sound, paired with the driving rhythmic team of drummer Stan Demeski and percussionist Dave Weckerman, with Brenda Sauter’s bass guitar proving a rock solid foundation. Formed in Haledon NJ in 1976, The Feelies have now released six albums – including their critically acclaimed and influential debut Crazy Rhythms, as well as playing concerts with The Patti Smith Group, REM, and Bob Dylan as well as touring with Lou Reed. 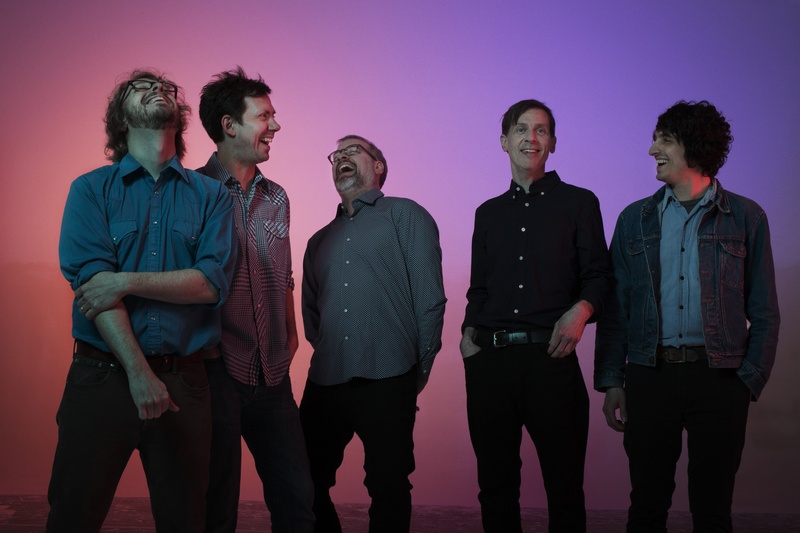 In 2008, The Feelies re-united after a 17 year hiatus to open for long time admirers Sonic Youth at Battery Park and then resurrected their tradition of playing low key gigs at strategic intervals throughout the year rather than doing lengthy tours. They signed with Bar/None the same year, who re-issued The Good Earth and Crazy Rhythms. Here Before was released in 2011 and marked The Feelies first studio album in nearly two decades. The new Eyelids EP, on limited edition colored vinyl from Jealous Butcher / Schizophonic Records, comes with a download card featuring three exclusive live videos (including Stephen Malkmus performing “Hey Joe” w/ Eyelids). EYELIDS have a collective history of creating music for some of the most legendary indie songwriters. These longtime Portland, Oregon collaborators were not only the principal instrumentalists for Robert Pollard’s post Guided By Voices band Boston Spaceships for over eight releases, but they have also worked with Stephen Malkmus, The Decemberists, Elliott Smith, Sam Coomes of Quasi, Black Prairie, Jason Lytle of Grandaddy, Loch Lomond, Damien Jurado and Peter Buck . Principal songwriters John Moen and Chris Slusarenko have turned inwards to their loves of New Zealand/Flying Nun guitar buzz, their teenage L.A. Paisley Underground obsessions, haunts of early Athens and all things beautiful, lopsided and rock. Along with members Jonathan Drews (guitar), Jim Talstra (bass) and Paulie Pulvirenti (drums) they push and pull against each other’s songwriting, in a beautiful tension that just works. Their critically celebrated debut 7” “Seagulls Into Submission” got airplay everywhere from BBC Radio to WFMU and was also included in Mojo Magazine’s Editors Picks of The Month. From Portland, OR comes lopsided rock for everyone’s skulls. We’ve created music as members of The Decemberists, Guided By Voices, The Jicks, Boston Spaceships. Portland’s Eyelids, which features The Decemberists‘ John Moen, and former Guided by Voices member Chris Slusarenko, have a new single out, “Slow it Goes,” which is the kind of relaxed, catchy guitar pop you’d expect from these two. We’re premiering its music video, directed by Slusarenko and John Clark. It was inspired by weird ’60s German variety shows and is full of face paint, go-go dancers (choreographed by The Dead Set Lead Society) and nonstop camera movement. You can check it out below. Portland’s Eyelids, which features The Decemberists‘ John Moen, and former Guided by Voices member Chris Slusarenko, have a new single out, “Slow it Goes,” which is the kind of relaxed, catchy guitar pop you’d expect from these two. We’re premiering its music video, directed by Slusarenko and John Clark. It was inspired by weird ’60s German variety shows and is full of face paint, go-go dancers (choreographed by The Dead Set Lead Society) and nonstop camera movement. You can check it out below.